One of the oldest flag retailers in the country. We have been in business for 81 years and not many companies can state that. We are a third generation business and we are customer driven. 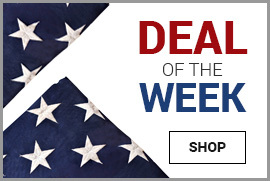 We have been serving Federal, State, Corporate and Local communities for their Flag and decorative needs. We are now proud to offer our low prices to the public. 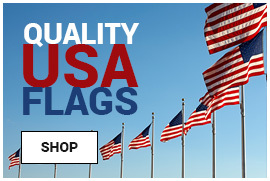 We only represent the finest quality Flag manufactures in the United States. We don't sell cheap imports or represent inferior companies. We offer products from Annin and Company. They are the only company to offer a 1 year color guarantee for their nylon products. For the consumer not looking for a 1 year guarantee and a lower price point,We offer products from Valley Forge and Eder. Most products ship same day. If you do not see what you're looking for on the site. Please contact us via email or drop by the store. We look forward to your business. What Keeps Our Customers Coming Back?